Hi loves! Happy Sunday!! 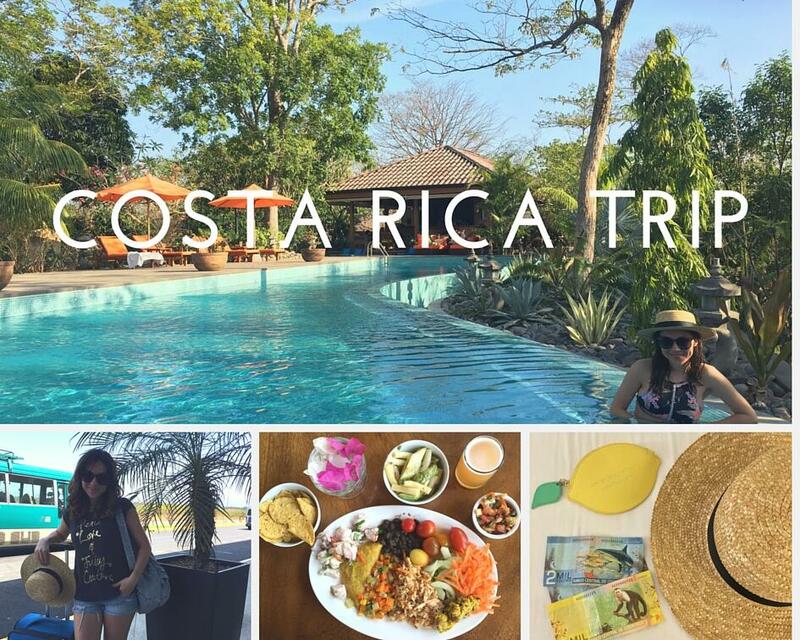 I had such an amazing mini vacay a couple of months ago in Costa Rica and today I’m sharing my travel diary with you. I was lucky enough to attend the Trailblazer’s Retreat created by my amazing entrepreneur friend Lynan. It was my first retreat and I didn’t know what to expect, but it was a totally transformational experience! I met a bunch of incredible like-minded people and learned so much from each of them. The best way to get to Nosara is by flying into Liberia airport and taking a shuttle. It took us about 3-4 hours since the roads in that area are not paved. We’ve heard from the locals that they’ve been fighting hard over the last decade to resist the tourist development in the area and in order to preserve their small community. Nosara is a popular, health-conscious community in Costa Rica. From what I read in Conscious Magazine (whose founders I got to meet in Costa Rica), this area is hands down the place to be if you value spiritual healing and sustainability. Nosara is in a ‘blue zone’ where people live longer than anywhere else on the planet, and it may be due to their focus on health, natural beauty, organic food, and a vibrant local community. 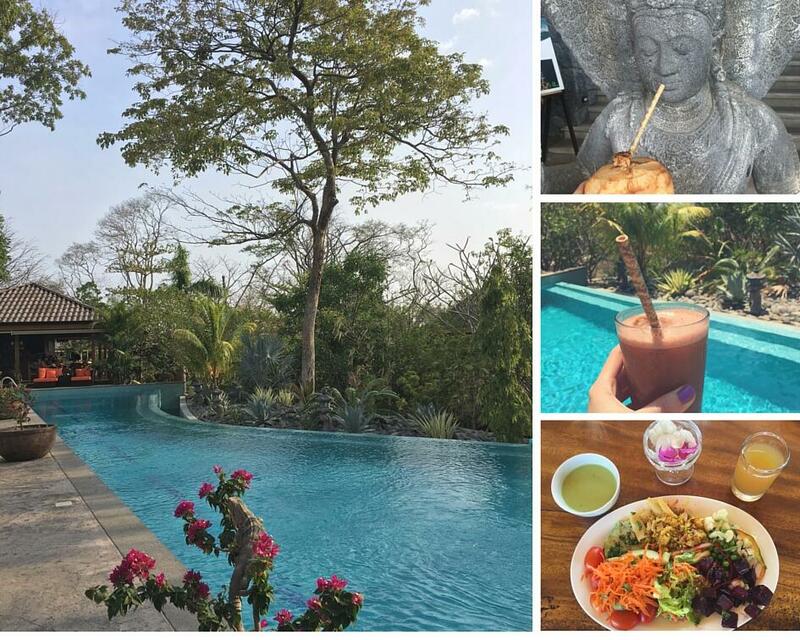 We stayed at the Bodhi Tree Yoga Resort and let me just say… I could literally live there. A green resort nestled in the jungle, organic Costa-Rican food all day long and a fresh juice bar, anyone? Upon arrival to the resort, we were greeted with fresh coconut water and an organic lunch. I fell in love immediately with Bodhi Tree‘s Balinese temple inspired design. There is a big Buddha statue at the entrance of the hotel, and a couple others spread around the resort. This is definitely the perfect venue for a retreat for it’s tranquil and peaceful environment. They’re a also a plastic free facility and have built their water treatment plant to preserve water. Conscious movements to keep the environment green – well done! The food and service at the resort was superb. I couldn’t wait for the daily organic and natural, gourmet buffet three times every day because it was always top notch. I think I took photos every meal I had there 🙂 Also, their juice bar is definitely worth mentioning! The juices they make were so good that I got one every day. I definitely recommend their chakra juices, my favorite one was the one called ‘wisdom’. We started our days with buti yoga, and sometimes ended the evening with meditation. 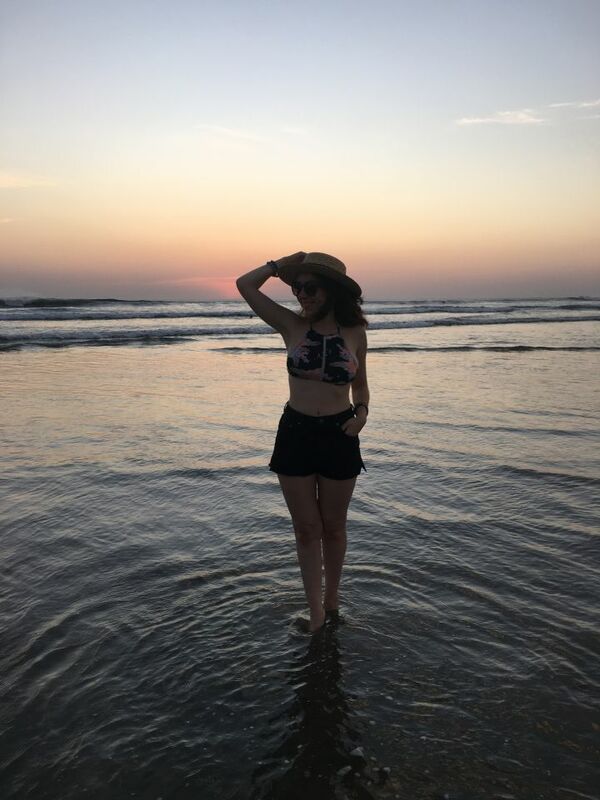 My favorite spot to practice in the resort was the outdoors area called ‘akasha’ where you can watch the sunset over the ocean, feel the breeze and get in your flow. There are a lot of quiet areas within the resort which are ideal for working, reading, or just lounging and being present. The salt water infinity pool was one of my favorite places to hang out at the resort. Always with a fresh chakra juice in our hands, we sat in the pool in between sessions and got a tan while chatting and making new friends. The rooms in the resort are bungalows and tree houses. To be honest, I was a little worried about bugs on my first day but I easily got used to waking up to the howling sounds of the monkeys and tropical birds. The resort is within 5 minutes walking distance of downtown Nosara, which is a cute little village. It’s on the way to the beach(Playa Guiones) so definitely stop by on your way to the beach to check out the organic ice-cream spots and gift shops. I heard that some of the beaches nearby like Playa Samara which is 27 miles South of Nosara is also very beautiful. I haven’t had a chance to go this time but next time I will. Nosara is also one of the best destinations in the world for yoga, meditation, healing and spirituality and of course surfing. In fact, it was named one of the 20 best surf cities around the world by National Geographic and number 3 among the top 10 beaches in Central America by Trip Advisor. The ocean water is cooler than the other parts of country and this makes the area more attractive to surf. You should also consider zip lining, hiking, biking and wildlife viewing since the area is tucked into the jungle. Be ready to run into iguanas, monkeys, tropical birds and geckos anytime. 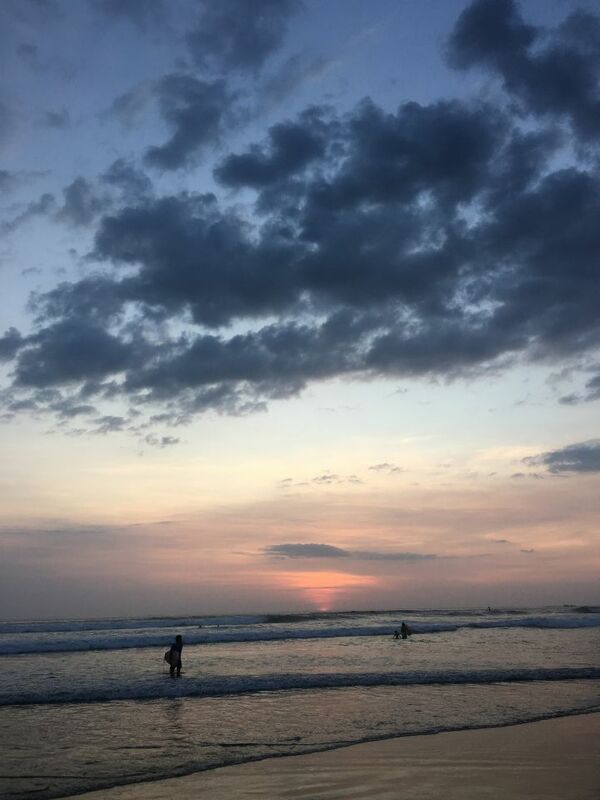 I didn’t have time to do any other activities since I was in a retreat but I’ll definitely include a couple of adventures into my next trip to Costa Rica. 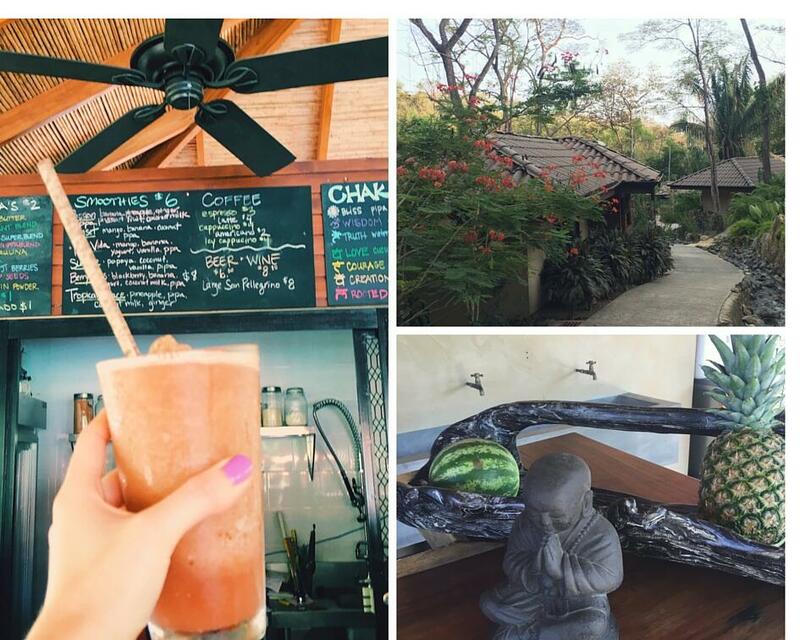 My time in Nosara was so much fun! I love that there’s something to do for everyone in this area, from tranquil and peaceful vibes in the jungle to surfing followed by sunset yoga. Stay tuned for Pt.2 where I’ll be sharing my experiences from Tamarindo Beach, where I headed after Nosara.